Mum of Five Staying Sane: How to DIY on a budget. Our home makeover. Shop around, source materials from various places and get your bargain hunting Mum involved! How to DIY on a budget. Our home makeover. Shop around, source materials from various places and get your bargain hunting Mum involved! I love a bit of DIY on a budget. Anything that needs doing in the house we always research all of the materials that we need and make sure we get the best price possible for everything. We've done quite a few DIY projects over the years and last week we embarked on our garden fence makover! When it comes to bargain hunting my Mum is the best. 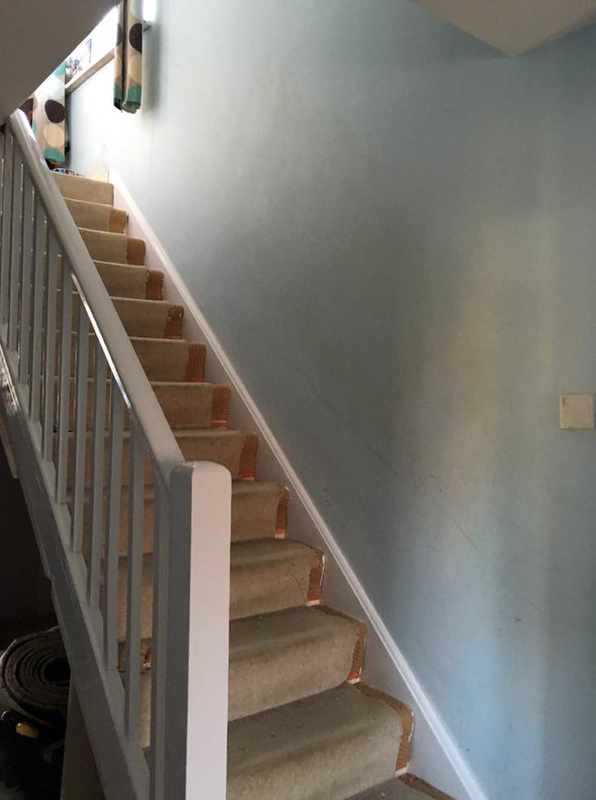 For our stairs makeover last year she found brand new underlay and brand new carpet on ebay from a seller locally that had remnants left over and we got it for the bargain price of £1.98. The before and after pictures show what a fab job Dadof5 did in fitting it and it completely changed the hallway. We also painted the walls with some Dulux Chic Shadow paint which we already had. 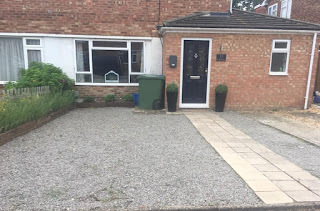 We also did our front garden makeover on a budget. 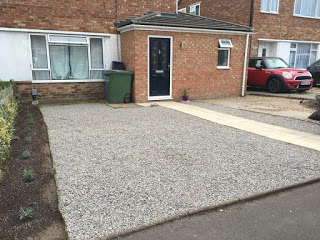 We sourced the stones from a seller on Gumtree who had excess leftover from a garden project they had done. Paving slabs were taken from my parents old patio to make the path and we bought lavender from Lidl for the borders which has grown loads! I also bought some wicker edging for the borders which was reduced in our local Wilkinson store. All in it cost around £60 in total. Picture taken today (14/06/2018) as you can see we've added 2 planters by the front door and the lavender has really grown on the left hand side. We also added some small bushes in the beds along the front window. More recently we were desperately in need of replacing the fence in our back garden. Last year the back fence was replaced by the neighbours who live behind our house. A few weeks ago the neighbours to our right had that fence replaced too. For quite a while now we knew the left hand side fence needed replacing and it was our responsibility but funds just weren't available. 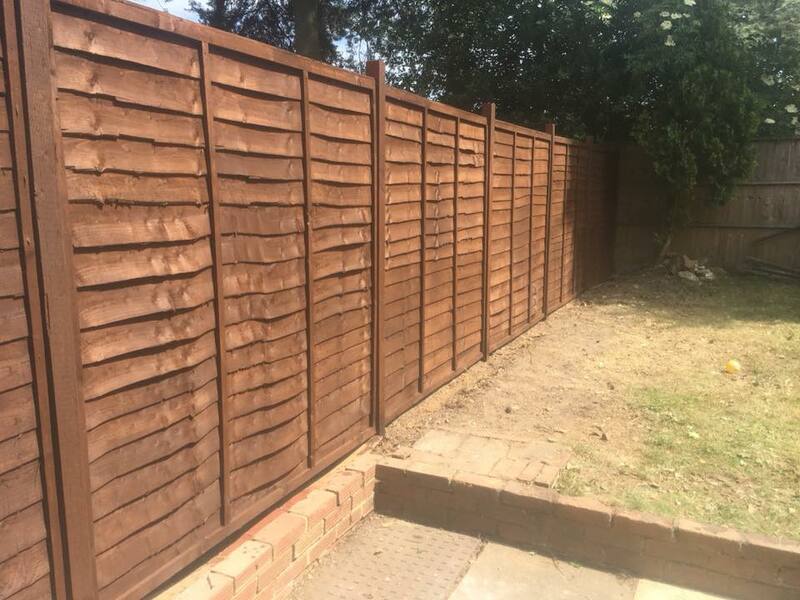 We priced it up and even putting the fence up ourselves meant that all of the materials would still cost £350+. 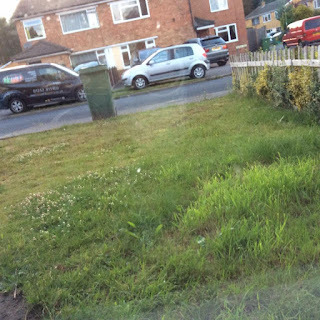 Our neighbours have a huge hedge which had completely taken over the fence. It had grown through it and over it and the fence was leaning really badly and looked so unsightly. Step in bargain hunting Mum who found some brand new Wickes fence panels and posts on Gumtree from a local seller. Myself and my Dad went to collect them and last weekend myself, Dadof5 and my parents put up the new fence. We painted the neighbours side, my Dad and Dadof5 were in charge of concreting in each post, levelling it all up and fixing the fence panels in place and then a couple of days later myself and my Mum painted our side of the fence. 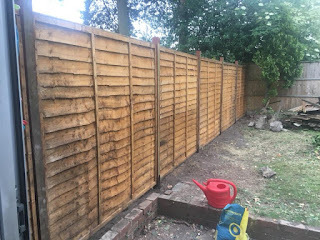 The costs was £80 for the six fence panels and nine posts with the seller also throwing in some bottles of paint for us, £25 for the postcrete (Wickes) and £10 for the Ronseal paint (currently £5 a tub in Wilkinson) for our side. Total £115. Oh and a few bacon rolls for the workers too. The fence looks amazing compared to before and I made sure that I took lots of progress pictures, I told my parents the pictures are all for their portfolio for new clients as they always do an amazing job when they help us with DIY projects! Before. 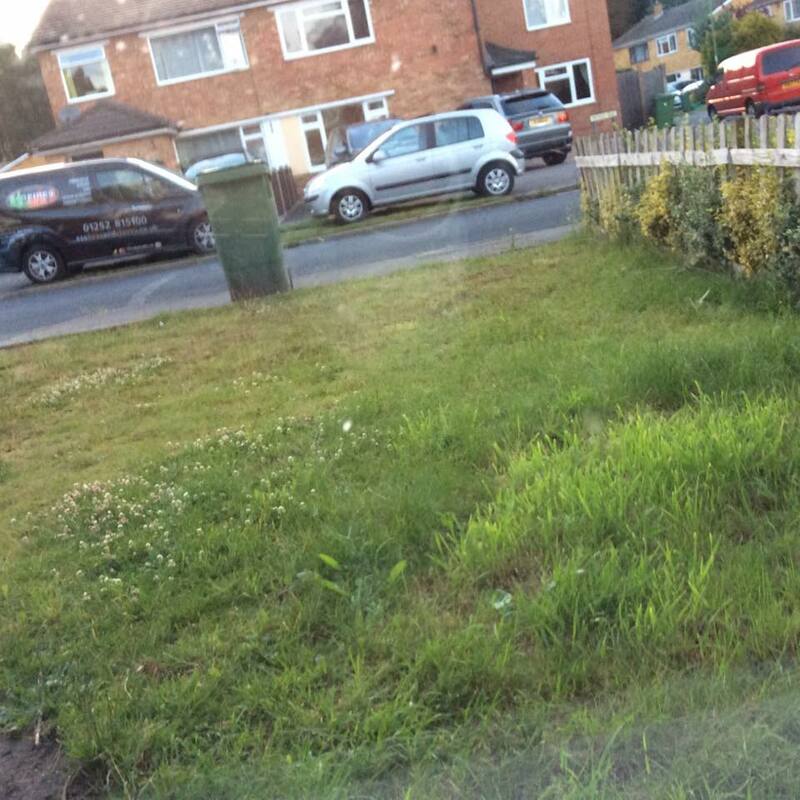 As you can see it was very overgrown and it had been pulled over by the neighbours hedge. 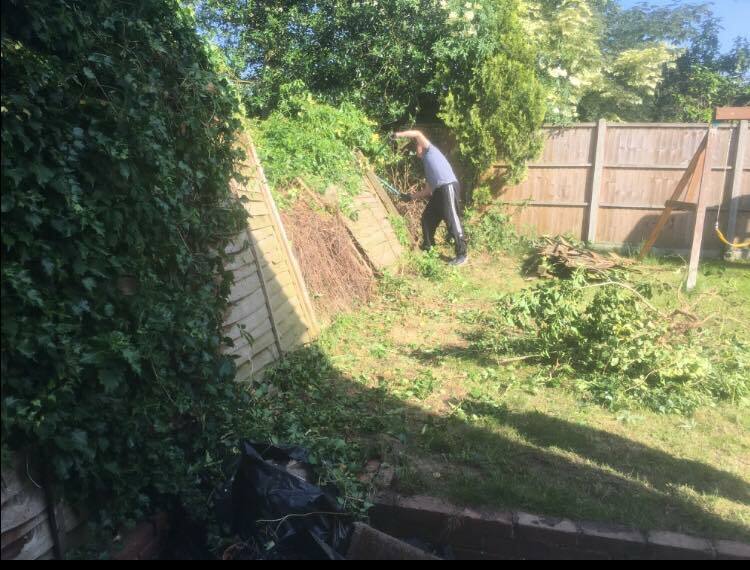 You can see Dadof5 struggling to clear the hedge, it took a while! This was just after we had finished putting the fence up. This is after myself and my Mum had painted it and had a tidy up too. As you can see we did a pretty amazing job. We are truly blessed to have my parents help us out with our DIY projects and to have my bargain hunting Mum helping us find what we need. The fence looks sooooo much better and now Dadof5's next project is some decking in the back garden too. I best call my Mum again! Their group had been wonderful to utilize through start to finish. Recommended here visit.